Picking up where Clannad the series left off, the path which Tomoya and Nagisa walk is filled with challenges and struggles that will test the strength of their love. 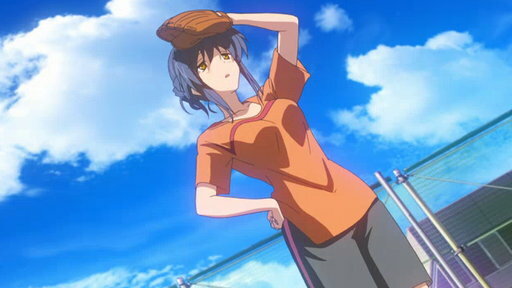 Tomoya and his girlfriend Nagisa end summer vacation by helping out with a neighborhood shopping district baseball game. Things don't go smoothly for the team. Nagisa is worried about Mei's lack of focus. Mei comes to stay with Nagisa, and Tomoya thinks it's a good idea introduce Youhei to the ladies. 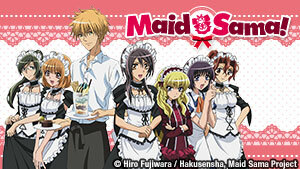 Youhei and Sanae enjoy a date together, but Mei still has her doubts about her brother and stalks the date. Worried about Youhei's absense from school, Tomoya investigates and discovers that he quit the soccer team due to bullying. Trouble sparks when the soccer team picks on Mei. Misae remembers a strange boy she met when she was in high school, Katsuki. 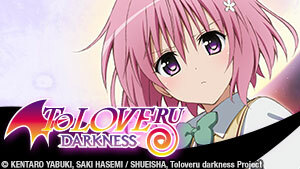 She gears up to tell her crush, Igarashi, about her crush on him, only to face a heartbreak. Misae begins to spend more time with Katsuki. Just as she realizes her feelings for him, Katsuki's revelation prevents them from being together. 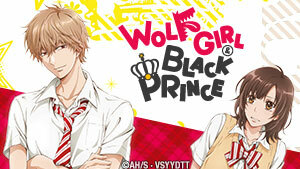 Tomoya and Nagisa discover that Yukine is beloved by two rival gangs for her part as a healer. Their involvement with her case may put them in the crosshairs of one gang. Yukine and Tomoya try to de-escalate tensions between the two gangs before the police get involved, and Tomoya may have to go to great lengths to bring peace. Graduation approaches! 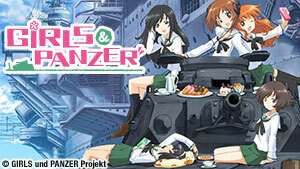 The group discusses their plans for the future, but Nagisa's sickness returns, forcing her to miss exams. Tomoya takes a job at a bakery, hoping to become more independent while Nagisa returns to school and tries to revive the theater club. Tomoya struggles to find his stride at his new job, and his responsibilities take its toll on his relationship with Nagisa. Yusuke shares some of his painful past with Tomoya. Later, Tomoya's promotion falls through as a result of his father's misconduct. Tomoya wants Akio to accept his future marriage to Nagisa. Months later, the group prepares to celebrate Nagisa's long-awaited graduation. 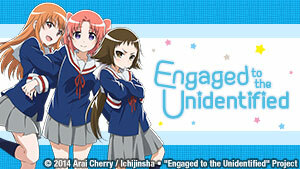 Now a happily married couple, Nagisa and Tomoya start to find their stride in life together. The two are worried that their old school will be turn down and move to save it. A pregnant Nagisa is spending more time in bed, weak with morning sickness. 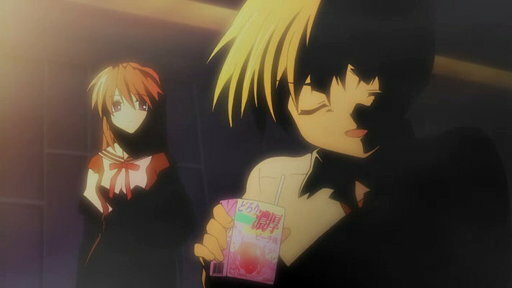 Tomoya is worried about her health, but Nagisa tries to assure him. In the latter part of her pregnancy, Nagisa has become sick again and goes into premature labor. Due to the snow, she is unable to be taken to the hospital. Five years later, Tomoya is a workaholic who spends his money on drinking and smoking. Sanae tricks him into being alone with Ushio, but he can't seem to connect with her. 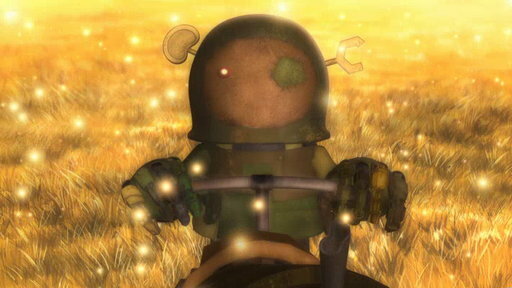 Ushio accidentally loses a toy robot Tomoya bought for her and searches for it. Tomoya comes to an understanding about his relationship with his father and his daughter. 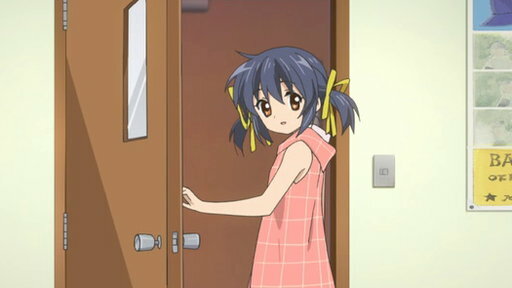 After returning from their trip, Tomoya finally takes Ushio home to live with him, permanently. The two meet up with old friends. Ushio's teacher in school is none other than Kyou. 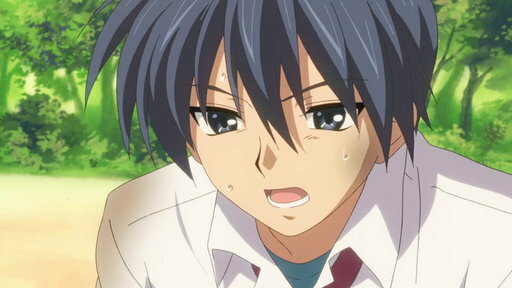 Tomoya asks Fuko to play with Ushio as he gets ready to participate in the school's sports day. At discovering that Ushio has the same sickness that took Nagisa, Tomoya drops everything to take care of her. As time passes, Tomoya prepares to grant Ushio's wish. Tomoya looks back on his past in his second year of high school. Nagisa has trouble making friends, and Tomoya and Youhei are pranking Kyou. Tomoya explores the life he could have had as Ushio falls asleep while he tells her the story of his mother's past.